I have one question about how old computers or consoles like Super NES merged background layer(s) and spirites. Or another way - how layers were merged to not overload a PPU / CPU? OR how about situation, when there were more spirites on the same position? Were there all pixels of all sprites drawn? Load to a register pixel color from (top) object memory. If it is transparent load to a register pixel color from memory of object that is below. It's usually not as centralised as you describe. If a system supports a background and, say, four sprites then there'll be one part of the video chip that generates the background. That's always running. Then there'll be four distinct shift registers, each responsible for a single sprite. They're also always running. The five outputs go simultaneously to a single location. That location decides which one to forward to the video encoder, and often also updates a bit of exposed state about whether more than one of its inputs was active at the same time, which the processor can use to test for collisions. A sprite that is in practice entirely invisible will nevertheless be loaded into its shift register and shifted out in its entirety. So the process is parallel, not serial. Then sprites-per-line limits from there being space for only so many shifters; there's a split between machines where you directly load hardware registers to describe sprites (like the C64), and those which fetch sprite details from RAM somewhere (like the TMS machines and direct descendants). The difference tends to manifest as whether the programmer can statically specify more sprites than can simultaneously share a line; the cost is that a bit more memory bandwidth is required for the same quality of display. The earliest successful console, the 2600, not only sits in the load-the-registers camp, but includes its background in the list of things that must be loaded and has enough internal storage for a single unique line only. Later machines also abolish the fixed priorities between elements, allowing it to be specified. Not the answer you're looking for? Browse other questions tagged graphics nes snes sprite or ask your own question. Can input lag be modeled as a function of controller cable length for SNES? How does the SNES (Super Nintendo) calculate the address of a character? 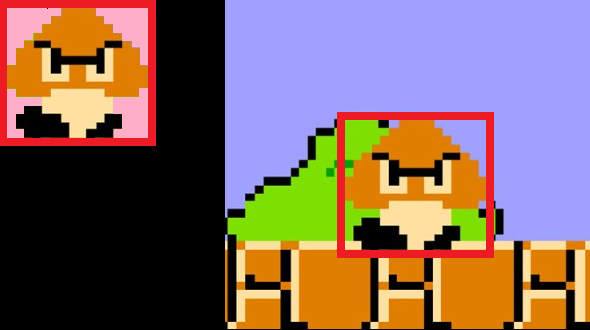 Why aren't each pixel's bits stored sequentially on the SNES?